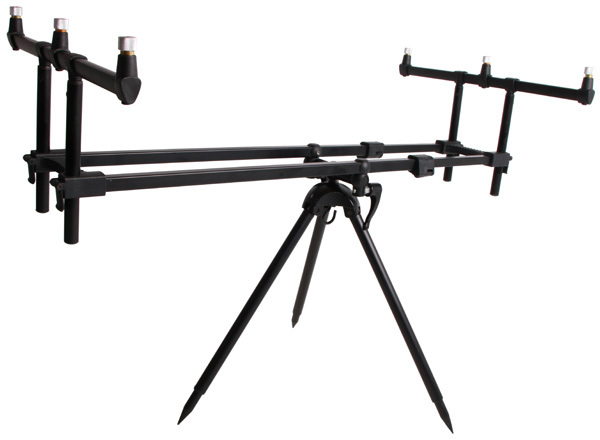 The Storm Rod Pod from Ultimate is suitable for fishing with 3 rods and both the length and height of the rod pod are adjustable. 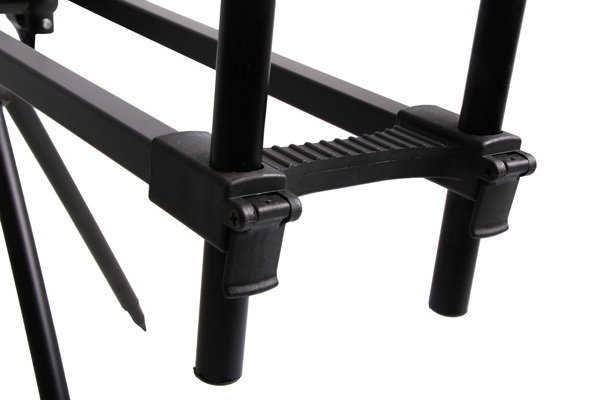 The legs of the Storm Pod are fully adjustable for optimal stability on all types of terrain. 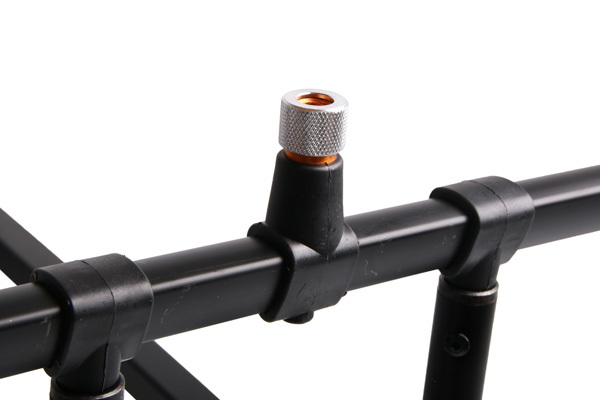 The angle of the rod is also fully adjustable! 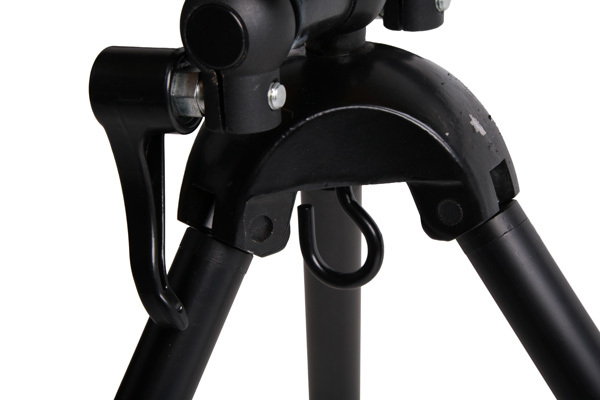 The hook can be used for adding extra weight for improved stability in bad weather conditions. A carry bag is included.